Kebabs are a summer staple on our grill. You can dress them up this way and that with herbs from the garden, sweeten them up with different veggies and fruit, and never go wrong when you’re using a meat thermometer. 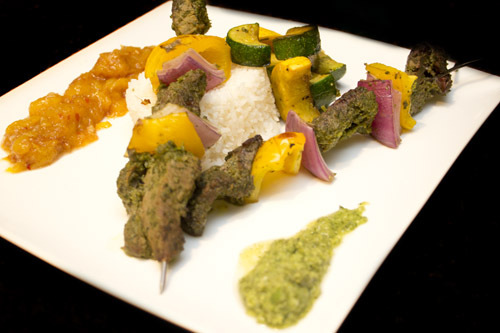 Marinade, skewer, grill and eat.